Pioneers in the industry, we offer submersible effluent pump from India. The design of Submersible Effluent Pump is carved to sustain in harsh industrial conditions. It is used to transfer effluent left after the solid waste is settled. It comes in varying models and uses different power range. The power range is from 0.6 to 10 horse power according to the usage setting. It can handle solid particles having the dimensions of three fourth of an inch. It comes with epoxy coating to save the machine parts from corrosion. Our products come with superior service life. Long lasting and reliable performance for comprehensive results. Comes with stainless steel fasteners and heavy cast iron parts. 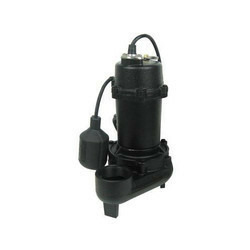 Looking for Effluent Pump ?